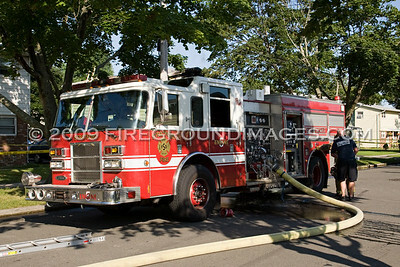 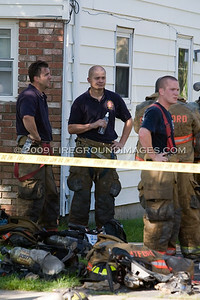 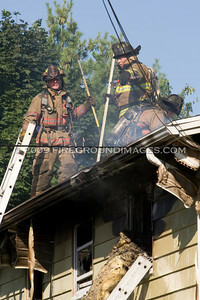 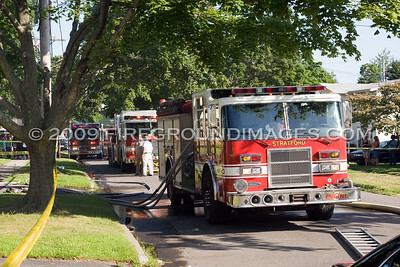 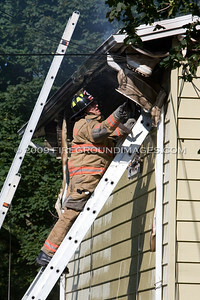 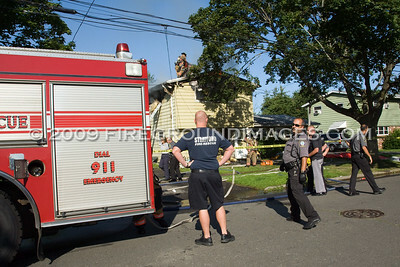 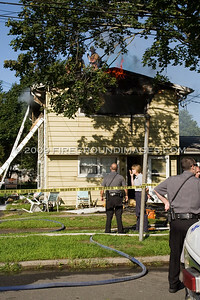 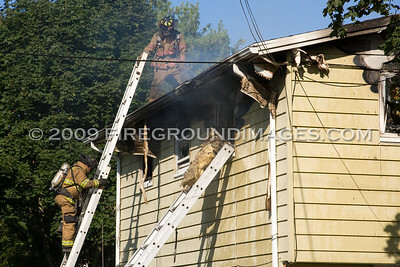 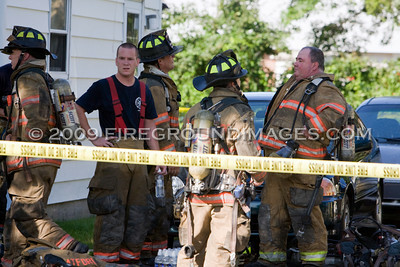 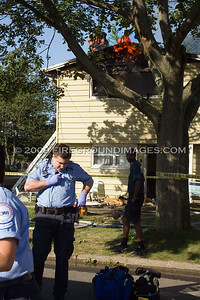 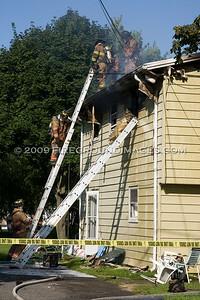 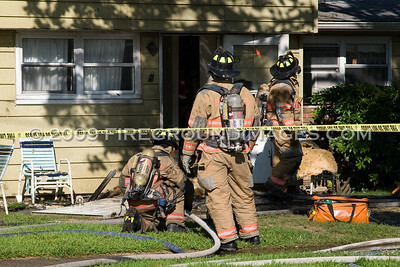 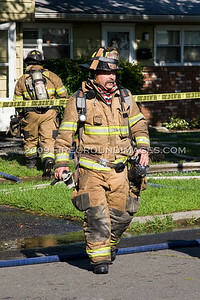 STRATFORD, CT – At approximately 8:15am on August 8, 2009, the Stratford Fire Department was dispatched to 35 Justice Street for a reported structure fire. 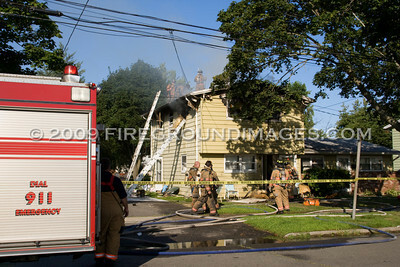 Dispatch had received multiple calls and was reporting people trapped on the second floor of the house. 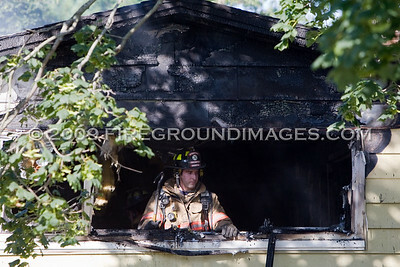 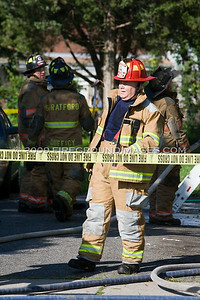 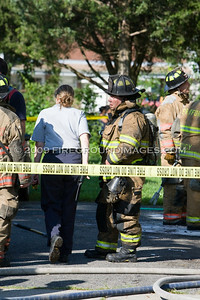 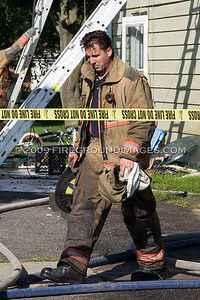 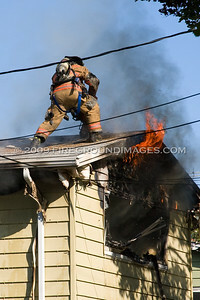 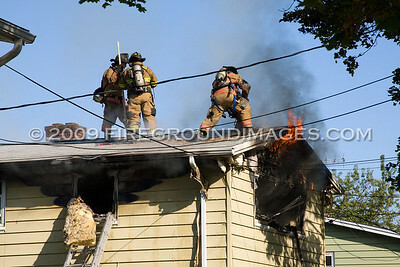 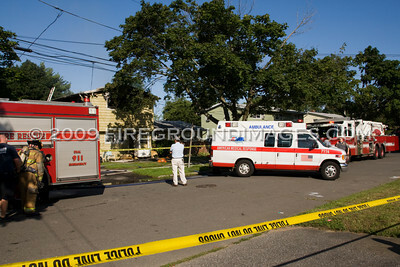 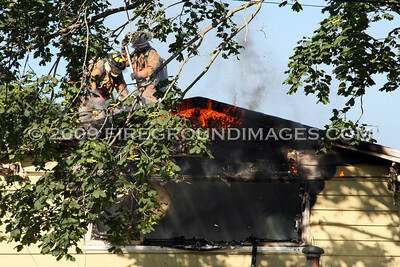 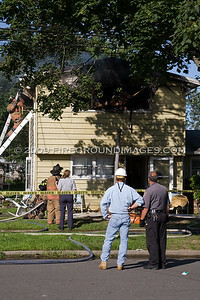 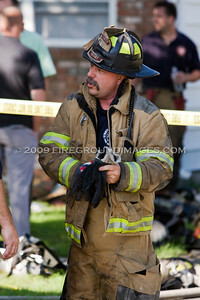 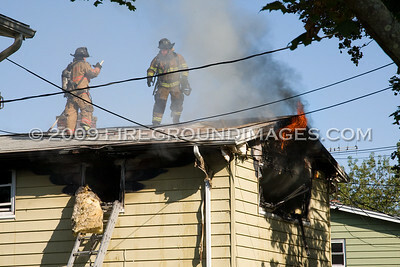 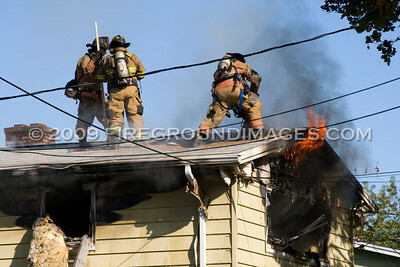 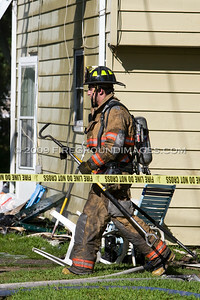 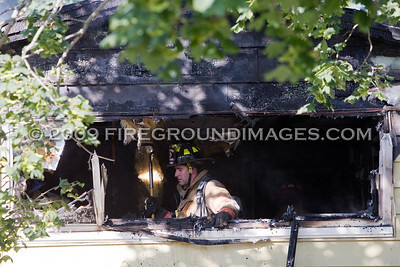 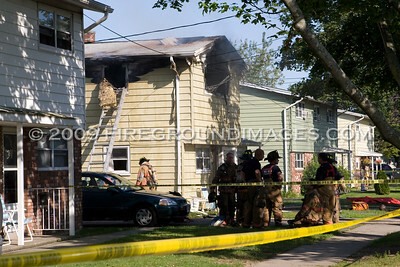 It was reported that there were 12 people in the Stratford Housing Authority duplex at the time of the fire. 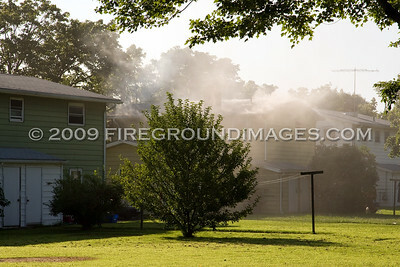 Everybody was able to escape the blaze except for a mother and her 17-year-old son. 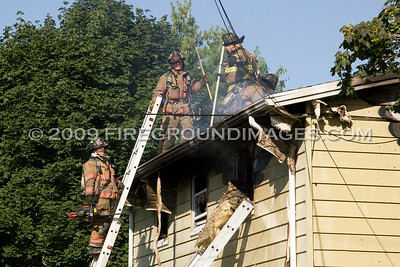 First in units found heavy smoke and fire showing from the 2nd floor A and B sides of the home. 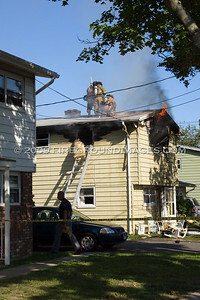 A very aggressive search and interior attack were commenced and the victims were quickly found on the second floor, but unfortunately it was too late for the mother and son. 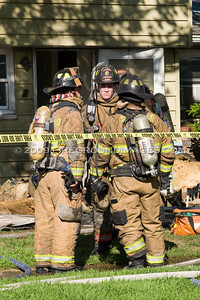 The fire was reportedly started from ashes on a mattress.